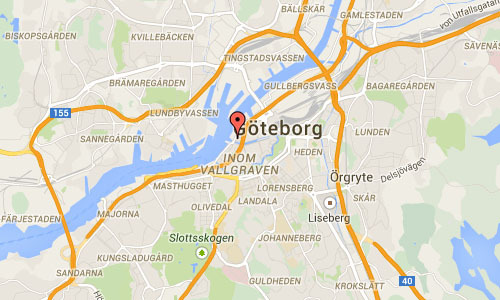 Packhusplatsen is a square in the district Nordstaden at the South River Bank of the river Göta in Göteborg. At the riverbank you’ll find Casino Cosmopol. 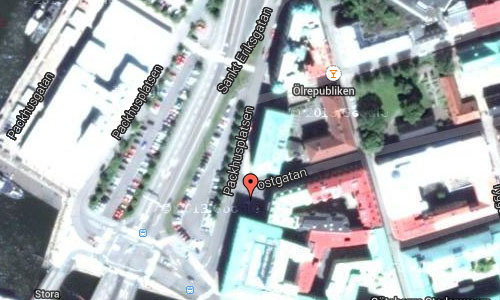 Until 1925, Posthuset (Postal house) was located at the square and the first Sahlgrenska Hospital was where the at Sillgatan (now Postgatan). The hospital was here between 1782-1823. The building was demolished around 1900. The square got its name in 1883 after the customs and warehouse (Stora Tullhuset” eller “Tull- och Packhuset” at the wharf which was completed January 7, 1866 and became operational in April of that year, after drawings by Frans Jacob Heil Born, today the building houses a casino. 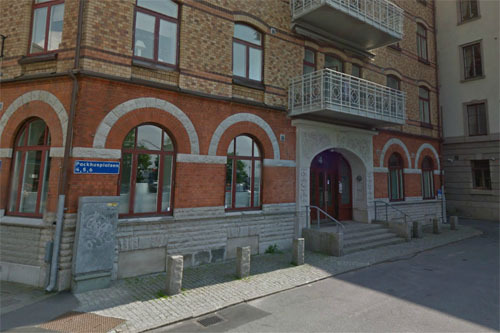 In 1911 the house of Ernst Krüger and 1925 by Karl Bengtsson when the building got its present appearance against Packhusplatsen. 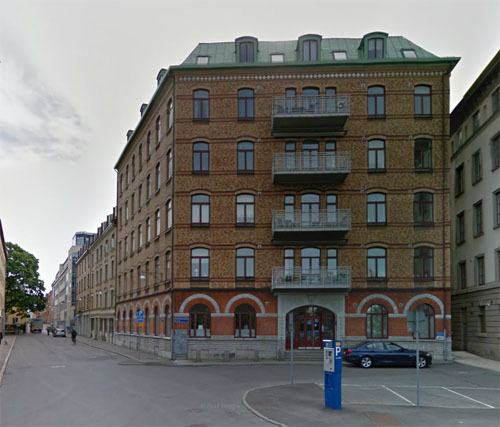 The building in the photo is Packhusplatsen 4 / Postgatan 1 in block 13 “Gamla Tullen” – five-storey brick and stone, built in 1898 and designed by architect Hjalmar Cornilsen. 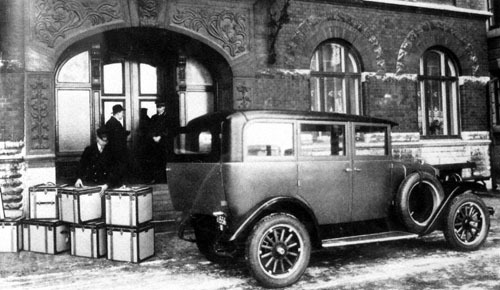 Hotell AB Hembygden took over the property in 1910, and in 1920 the Swedish American Line took over. 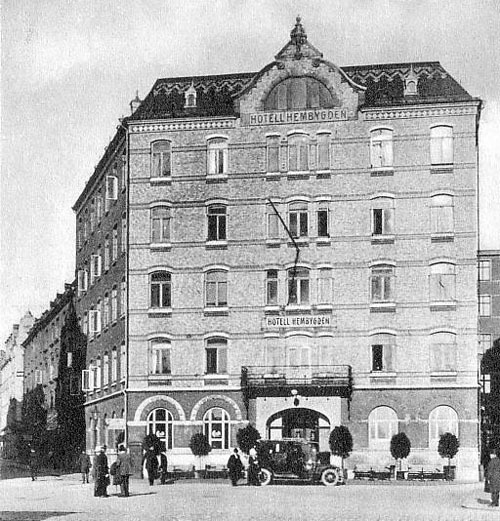 The hotel section name was subsequently Beach Hotel until 1945, and in 1950 the property was purchased by AB Broströmia. Beginning in 2003 rebuilt the property’s apartments. More information at sv.wikipedia.org, www.alltidgot.com and brfhembygden.se.